Children with a wide range of medical conditions are able to qualify for Social Security disability benefits. When a child receives benefits from the Social Security Administration (SSA), these benefits are usually paid through the Supplemental Security Income (SSI) program, a need-based form of disability that requires a detailed review of medical as well as financial information. Once approved though, a child can continue to receive support each month for as long as he or she meets the SSA's eligibility requirements. Adults can receive SSI too! If you are caring for an adult who has been disabled since birth, he or she will still likely need to apply for SSI benefits. Because minors often have minimal or no income or assets of their own, the SSA must consider the financial circumstances of the child as well as the parents, guardians, foster parents or other caregiver(s). Children are also unable to apply for benefits for themselves, which means the SSA has standard processes in place to allow any adult who cares for a child with a disability to apply for SSI on his or her behalf. Before applying, you may wish to review the SSA's Child Disability Starter Kit. This kit explains the SSI program and the information and documentation that will be necessary for filing a claim on behalf of a child. The SSA must review the financial details of the household in which the child lives. This includes the income, assets and other financial resources of the entire family. Although the SSI qualification rules are strict, many children are able to receive support, even when they have two parents who work and earn a decent living. This is because the SSA excludes some income and other financial resources from consideration. They additionally only assign or "deem" a portion of available income and assets to the child, which makes it more likely a child will be approved. Also considered is family size and whether income is earned or unearned, among other factors. Once a child turns 18, the SSA will no longer evaluate a parents' income. A claim will be revaluated by the SSA once a child turns 18, but most children will still medically qualify as adults. This means that it's often easier for people with intellectual disabilities to qualify after turning 18. A child's medical condition must be severe and disrupt his or her participation in "normal" or age-appropriate activities. 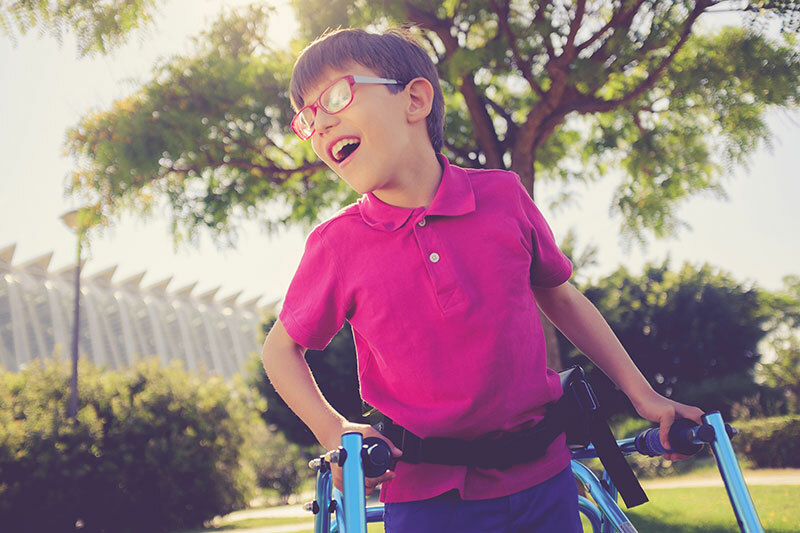 Disability Determination Services (DDS) will review the child's medical records and compare these with disability listings that appear in the Blue Book. Your child's doctor(s) can review Blue Book information and help you understand whether your child may medically qualify for Social Security disability according to the criteria outlined in this SSA manual. To make a determination on your child's claim for benefits, the SSA will need the contact information for all the doctors and other healthcare providers your child sees, including hospitals, clinics and therapists, among others. When you apply for SSI, you'll additionally provide permission for the SSA to get copies of medical records for a detailed review. Every child will need different medical records to qualify. A child with either Trisomy 21 or Translocation Down syndrome will automatically medically qualify. A child with ADHD needs significantly more evidence, including a history of inattention, impulsiveness and hyperactivity. Be sure to review the Blue Book online to know how the child you care for will qualify. When you are ready to begin an SSI claim on behalf of a child you care for, you can schedule an appointment with your local SSA office by calling the main helpline at 1-800-772-1213. Just keep in mind that there are typically long hold times when calling the SSA. If you can find a local number through the SSA's office locator, you may have an easier time making an appointment. During your local office appointment, you'll participate in a personal interview with an SSA representative. This representative will walk you through the SSI application, record your information and submit your claim for you. With a rich medical history, the person you care for should be approved in a couple of months. To learn more about the Social Security Disability application process, from initially applying, to keeping benefits after being approved, visit http://www.disabilitybenefitscenter.org/. Deanna Power is the Director of Outreach at Disability Benefits Help, an independent organization dedicated to helping people with disabilities receive the Social Security benefits they need. She initially began working with people with disabilities by volunteering with Best Buddies, and now specializes in helping potential Social Security claimants determine if they medically qualify for benefits. If you have any questions on the application process, feel free to email her at drp@ssd-help.org.